Better than a treasure hunt… finding the Easter Bunny: Did you know you can actually go find “the real” Easter Bunny? He usually hides within city playgrounds… And in case you cannot find him hopping around the city, Buxi der Zauberhase, will be waiting at Klavarienberg festival until the 21st of April for all the kids who are curious to meet him. Best Easter Markets in Vienna: The Schönbrunn Palace Easter Market is a must-visit during the Easter season. One of the biggest markets in Vienna, where workshops and food spots will be available for kids (and adults of course). This market also has a huge play area for the little ones. The Alt Wiener Easter Market at Freyung in the first district is also a great spot to visit in the city centre. 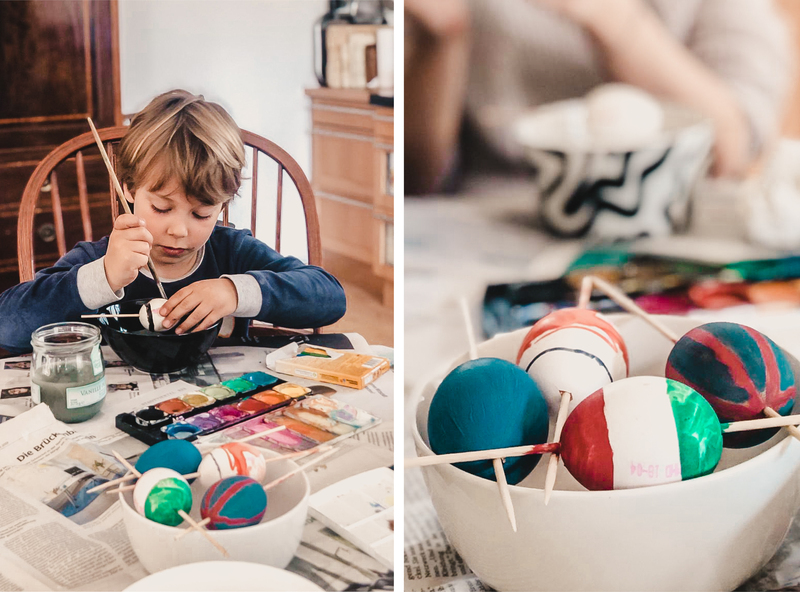 Their activities for kids include some egg decoration and puppet shows, that will keep them entertained while you relax and enjoy a freshly baked Easter delicacy. 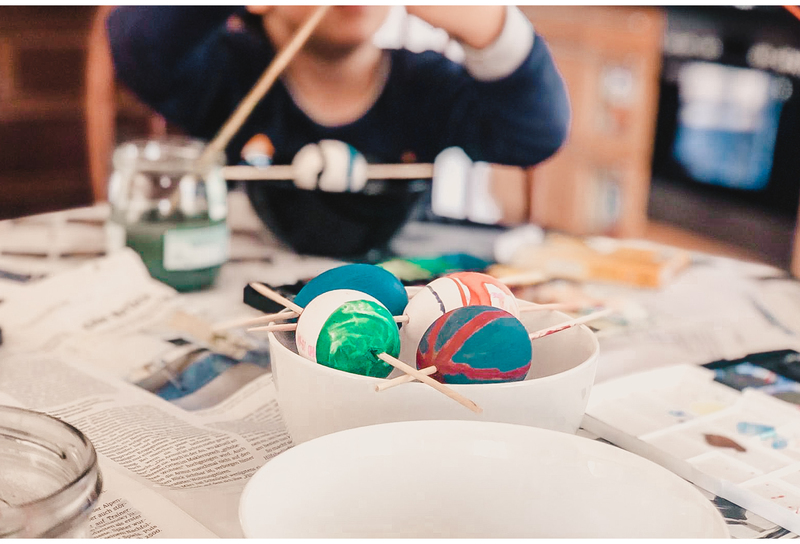 Schokomuseum: This year it offers a special program for kids in Vienna that includes workshops and special Easter activities. Official egg hunt: Last but not least, the Vienna Zoo (Schönbrunn Tiergarten) will organize a general egg hunt on the 21st and 22nd of April. Ready to look for some eggs? Easter Wellness Escape: If you are planning a weekend getaway, you should consider the Reiters Resort in Burgenland. Emilian and I spent there some days last year… and loved it. They have a whole programme of activities like an egg hunt, a fire night, a special musical event or a special show for kids on Easter Sunday. They offer all-inclusive packages that are totally worth it as the whole family will come home happy and relaxed. Adventure in the mountains: If you already miss the mountains, the Active Kaprun resort is the right place to book for everyone who’s spontaneous. Not only do they have a special Easter price but also, their resort is children friendly and this package includes a 25-minute massage for each adult – Yay! A day trip: The weather forecast is looking pretty good this year, so if you are considering going to Neudsiedlersee for the day, you should know that there is a full list of activities for the little guests to enjoy at their Esterházy Palace, including some pony riding, egg hunt and other DIY workshops for kids. More info here. Down the Danube: In Krems is a very exciting and unique event: A full brunch on a boat for kids and adults while going down the Danube on Easter Monday while enjoying the impressive views of the Spring landscape along the Wachau. The whole ride takes 5 hours and it will include a whole brunch buffet with some Easter specialities. City getaway: Alicante for example, is a city with many activities for kids during the Easter break. Schools in Spain have longer breaks, so their options and activities are many: theatre, circus activities, musicals and workshops all around the city within many other things. Since Alicante. Also note that some smaller events for kids may take place on the beach, such as readings for kids or cinema. This type of information will be only locally shown around your area. If you are into bigger cities, Rome and Amsterdam are also great ideas. If you are leaving for a longer trip, however, don’t forget to go through my personal tips on flying with kids’ tips as well as going through the packing light tips and hacks. Many airlines keep on coming up with more and more rules when flying and these hacks will help you reduce some stress at the time of boarding. You can find more hacks and throwbacks of the adventures Emilian and I have been through, right here. And most importantly, don’t forget to ENJOY. Wer in Wien bleibt – und das mit Kind – wird einen der Ostermärkte besuchen wollen, sei es am Schloss Schönbrunn oder auf der Freyung im 1. Bezirk. Oder sollte man doch vielleicht ins Schokomuseum gehen? Sicher spannend ist auch das große Ostereiersuchen im Schönbrunner Tierpark (21. und 22. April), genauso wie die Suche nach Buxi dem Zauberhasen am Kalvarienberg (bis 21. April). Wer Lust auf einen kleinen Ausflug hat, hat ebenfalls die Qual der Wahl. Immer empfehlenswert sind ein paar Wellnesstage (diesmal mit speziellem Osterprogramm für die ganze Familie) im Reiters Resort im Burgenland. Oder wie wäre es mit einem Besuch des Schloss Esterházy am Neusiedlersee? – für Kinder mit Ponyreiten, Eiersuchen und Bastelstube. Und wer immer noch nicht genug vom Schnee hat, möchte vielleicht in die Kapruner Skiarena fahren und noch einmal die Pisten hinunterjagen. Oder wollen wir es eher gemütlich nehmen – am Ostermontag auf einer Brunch-Bootsfahrt die Donau hinauf von Krems in die Wachau? Natürlich könnte man auch an eine Städtereise denken. Alicante in Spanien wäre hier sicher ein ganz, ganz spannendes Ziel. Oder doch Rom oder Amsterdam? Aber vielleicht möchtet ihr auch einen etwas längeren Trip machen … nach Asien oder in die USA. Ob jetzt oder in naher Zukunft: Einige Tipps von meinen Abenteuerreisen gemeinsam mit Emilian findet ihr hier. Euch allen frohe Ostern … und viel Spaß bei der Eiersuche.